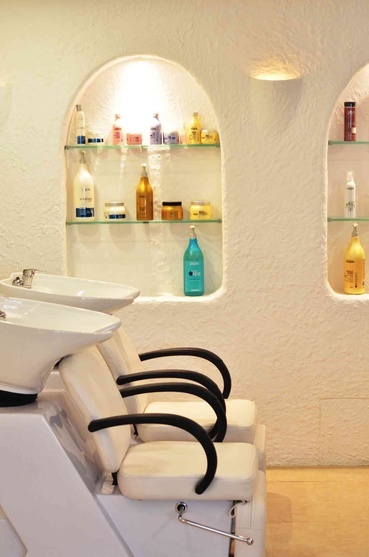 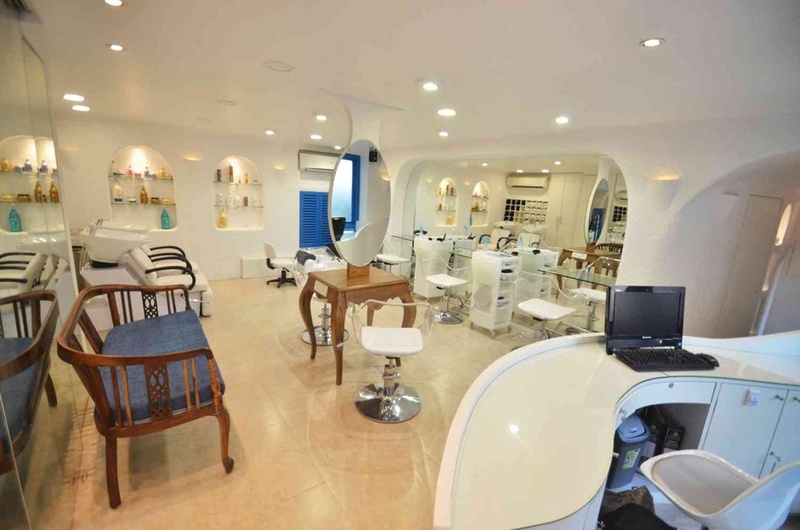 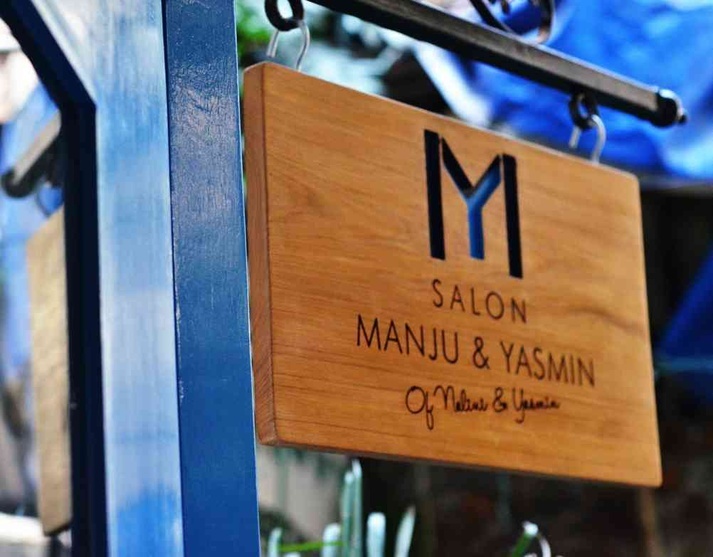 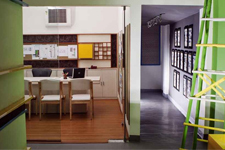 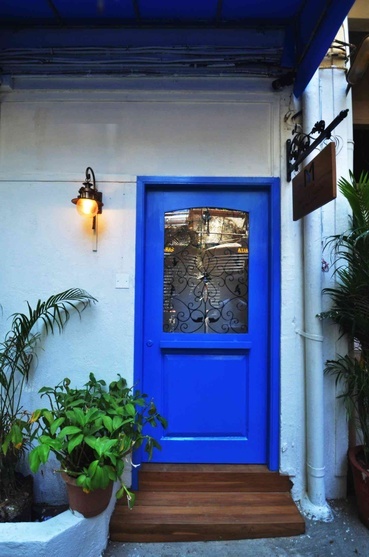 This salon designed for a hair stylist duo is located in a calm by lane of the Bandra suburb. 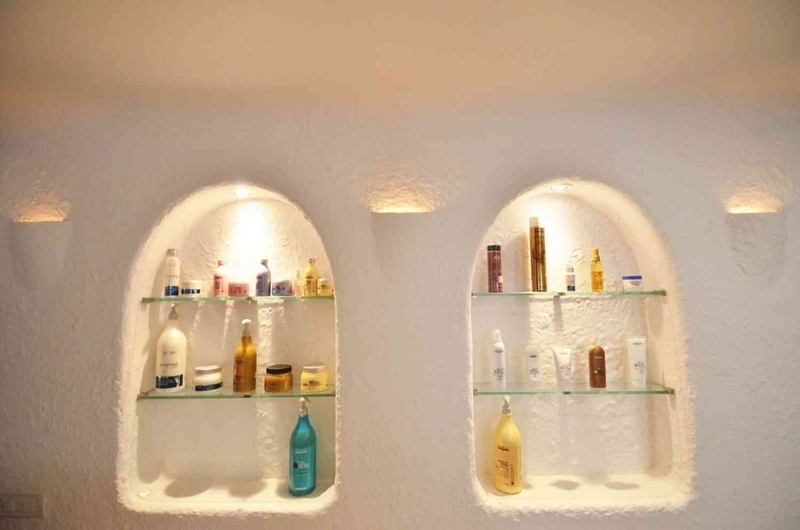 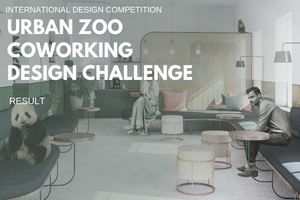 The space was designed on the greek theme to add elegance to the existing low concrete shell. 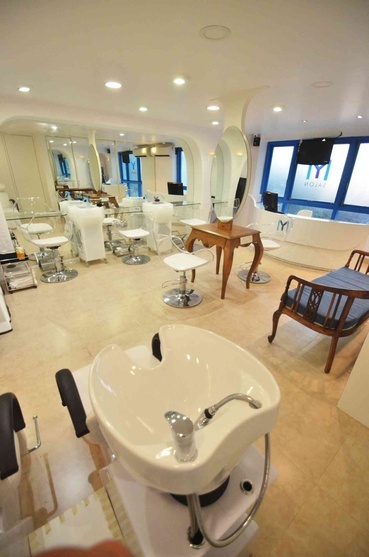 The central space is the open hair styling floor flanked by other ancillary functions on its farthest edge. 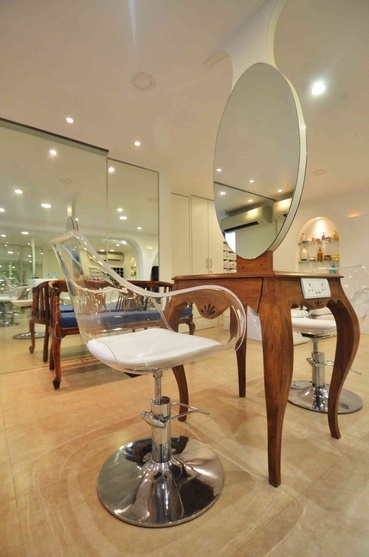 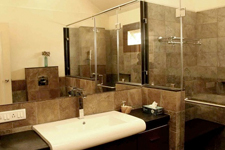 Large seamless mirrors create an illusion of a larger space and the white stucco walls give it the necessary warmth that a salon requires.